Our national parks tell the stories of remarkable people and events in our nation’s history. The network of 417 parks and sites stewarded by the National Park Service (NPS) spans more than 84 million acres across all 50 states, the District of Columbia, and many U.S. territories. Unfortunately, after more than 100 years of operation and inconsistent public funding, the National Park System faces a deferred maintenance backlog estimated at $11.6 billion, of which approximately 47 percent is attributed to historic assets. To maintain this large and complex infrastructure, the NPS employs roughly 19,000 individuals who perform a wide variety of functions, including maintaining and repairing tens of thousands of assets. The NPS operates facilities—for example, the Historic Preservation Training Center—that provide employee training on best practices for preserving historic structures and maintaining park assets. All of this costs money. While the recent increase in congressional appropriations for key accounts that fund deferred maintenance is very welcome and much needed, dedicated and reliable funding is the only way to abate the deferred maintenance backlog. Nonetheless, a comprehensive solution may also require a closer look at the people who are doing this work. One component of a holistic solution is building on the successful public-private partnerships that provide opportunities for youth corps and other groups. Not only do these efforts increase the exposure of young people—particularly those from underserved communities—to our national parks, developing their job skills and broadening their understanding of preservation within the National Park System, but they also reduce the deferred maintenance backlog. As part of our commitment to these initiatives and to assist the NPS in reducing the maintenance backlog of historic properties, the National Trust for Historic Preservation launched the Hands-On Preservation Experience (HOPE) Crew initiative in 2014 to train young adults in preservation skills while helping to protect and restore historic sites. Youth and military veterans are trained in the skills necessary to perform preservation work through a cooperative agreement between the NPS; other federal land management agencies; and several NGOs, including the Student Conservation Association and The Corps Network (TCN) . 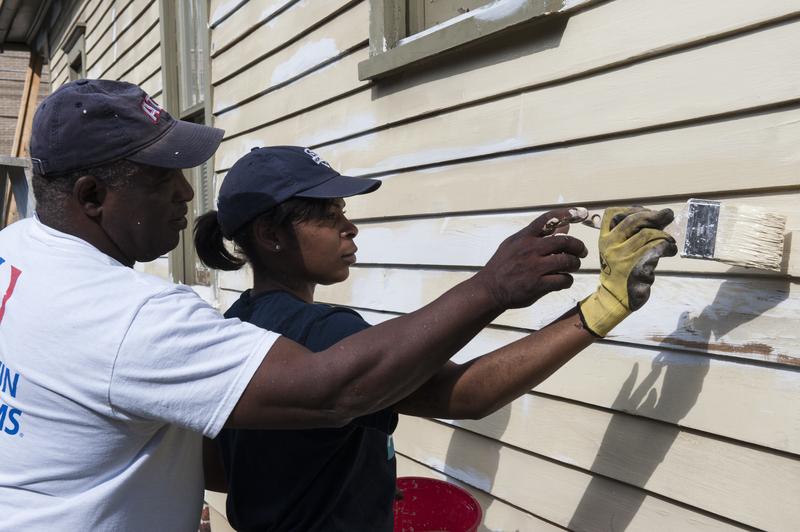 In the first four years of the program, HOPE Crew has logged 120,000 hours in more than 150 projects, helping to support $18 million in historic preservation work while engaging 3,000 volunteers and 700 youth and veterans. This work includes rehabilitating structures at places like Golden Gate National Recreation Area and Shenandoah National Park. Projects like these reduce the deferred maintenance backlog while also providing job skills and education for the next generation of stewards of America’s most important historic sites. We have seen a number of key developments over the last few weeks to address the deferred maintenance backlog, including a series of congressional hearings highlighting the need for dedicated funding as part of a viable legislative solution. Congressional committee members and witnesses regularly highlight the importance of partnerships in the parks and the benefits of engaging youth corps programs, as did the National Trust in our testimony to Congress. The Trust has also developed four case studies highlighting HOPE Crew projects in national parks that demonstrate the cost savings and measurable impact on the deferred maintenance backlog. The Martin Luther King Jr. National Historical Park is centered around Dr. King’s boyhood home and several other structures that tell the story of his life in the Sweet Auburn neighborhood of Atlanta. Over the course of two projects executed by the Greening Youth Foundation—a local Atlanta youth corps and member of TCN—16 paid crew members completed 7,360 hours of historic preservation work to repair and repaint shotgun homes constructed between 1905 and 1909, saving the NPS $380,000 in the process. At Little Bighorn Battlefield National Monument, the Montana Conservation Corps recruited the first all-veteran team for the HOPE Crew project at Custer National Cemetery. The team cleaned, reset, and repaired headstones in the cemetery, restoring pride and dignity to the graves of the fallen and their families. The project employed 16 paid crew members and provided them with an opportunity to learn valuable masonry skills while tackling much-needed maintenance and rehabilitation at the park, achieving cost savings of $58,000. Inside the Grand Teton National Park, the 13 buildings of White Grass Dude Ranch are home to the Western Center for Historic Preservation (WCHP), which serves as a preservation training facility for the NPS. Partnering with the Rocky Mountain Youth Corps, the HOPE Crew restored the early-20th-century cabins of the WCHP and preserved more than 2,000 ceiling latillas in the Jenny Lake Visitor Center. While logging 1,440 project hours over the course of four projects, 18 employed crew members saved the NPS $57,000 while helping to rejuvenate historic features and reduce the deferred maintenance backlog for the park. The Jean Lafitte National Historical Park and Preserve in New Orleans is home to Chalmette National Cemetery. 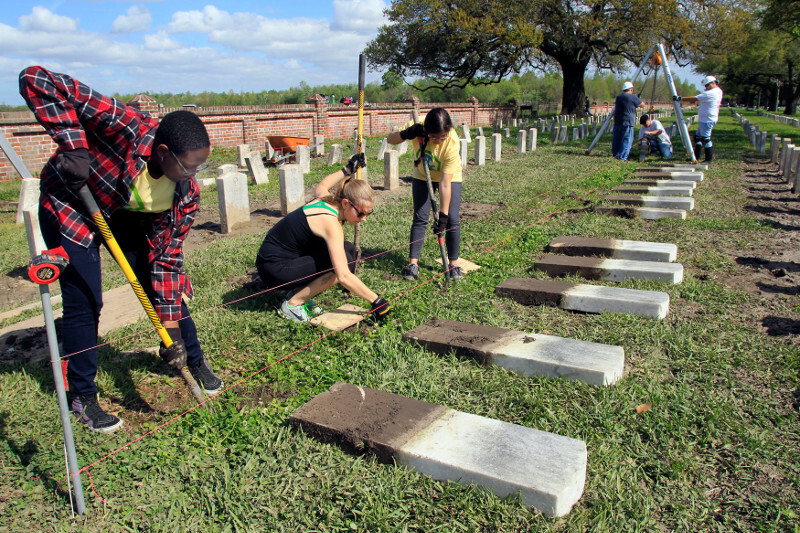 This final resting place for Union soldiers—including United States Colored Troops—who died in Louisiana during the Civil War holds more than 14,000 headstones in much need of documentation, realignment, and cleaning. In the first two years of the HOPE Crew volunteer program at this site, more than 1,800 volunteers logged 4,180 project hours and achieved $157,000 in cost savings for the NPS. From cemeteries honoring those who served our nation to historic structures that tell the stories of all Americans and enable the NPS to execute its mission, these projects merely scratch the surface of the deferred maintenance backlog. Despite the cost savings that more than 150 HOPE Crew projects have provided the NPS over the course of the last four years, $11.6 billion in maintenance needs remains. The deferred maintenance backlog cannot be solved by philanthropy or volunteerism alone. While HOPE Crew plays a pivotal role in ensuring that the historic and cultural resources of our national parks are protected, only Congress can provide the robust appropriations and dedicated funding necessary. As Congress considers legislative proposals in the next few months to address the deferred maintenance backlog, the historic preservation community will have many opportunities to remain involved in the nationwide campaign. One such proposal is the National Park Service Legacy Act, which would provide dedicated funding of more than $11 billion to address the maintenance backlog through receipts from on- and offshore energy development that are not allocated to other purposes. The legislation would also promote public-private partnerships that leverage private funding for maintenance projects and discretion for congressional appropriators to evaluate priority projects. The National Trust strongly supports a provision that would specify funding parity between non-transportation- and transportation-related maintenance needs to ensure that funds are available for preserving historic structures and cultural artifacts. You can check whether your representative or senators are cosponsors of the Legacy Act. If not,visit our Advocacy Resource Center for the latest on the work to protect our National PArks. Pam Bowman is the director of public lands policy at the National Trust for Historic Preservation.